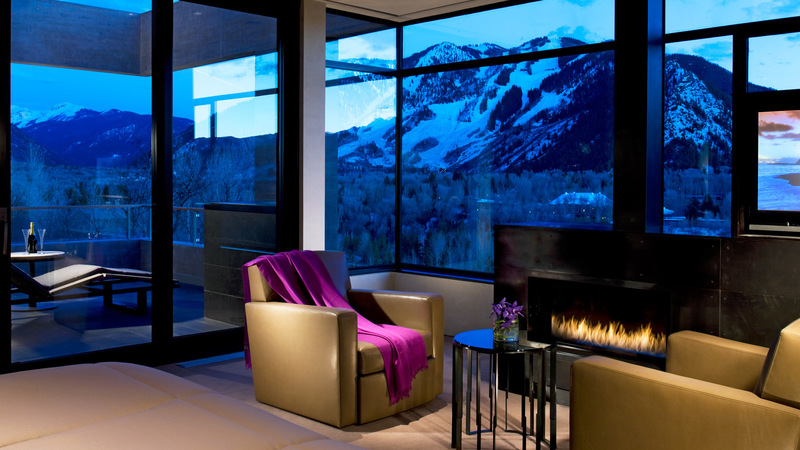 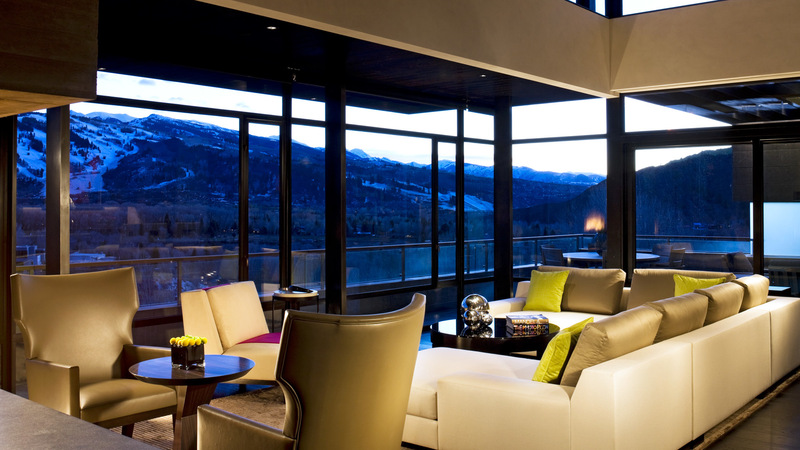 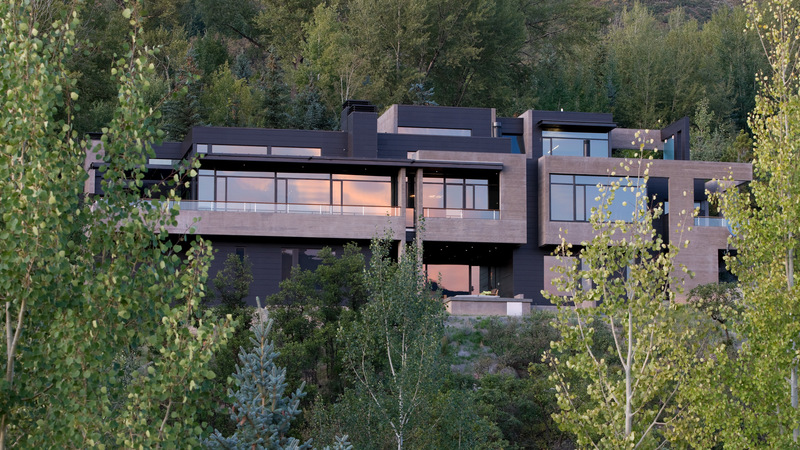 This home takes full advantage of unobstructed views of Aspen's four mountains and the valley below. 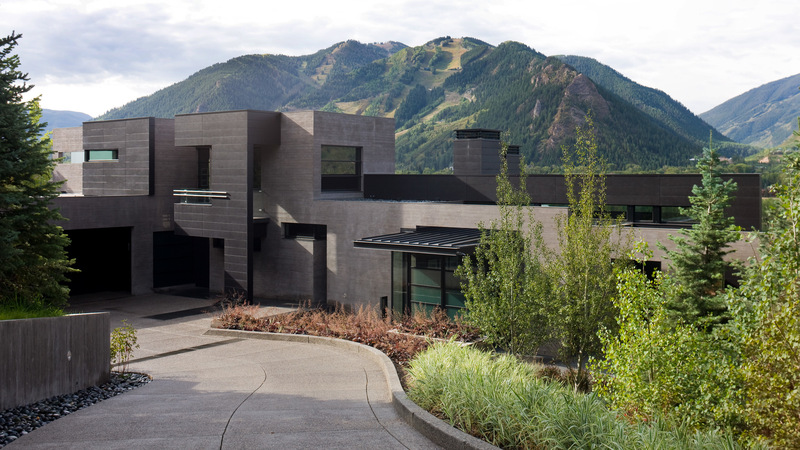 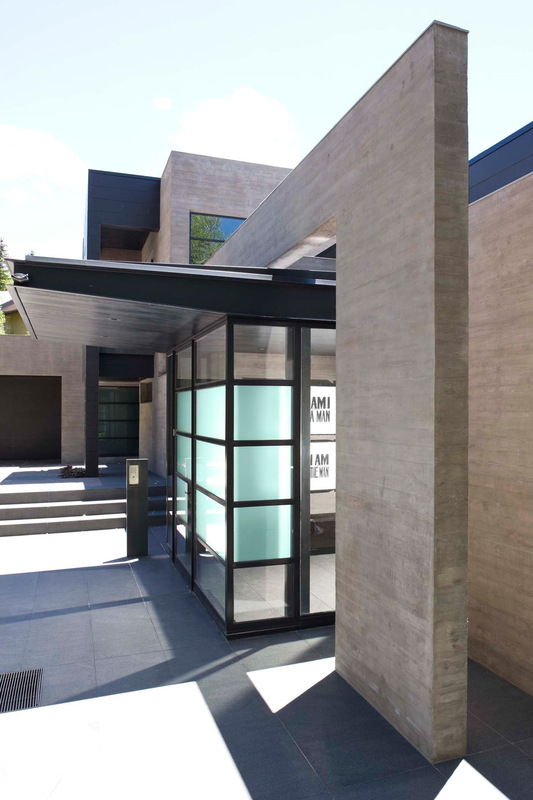 Its long axis faces the views and a layered composition of architectural walls guide movement, create outdoor living spaces, and reveal unexpected discoveries. 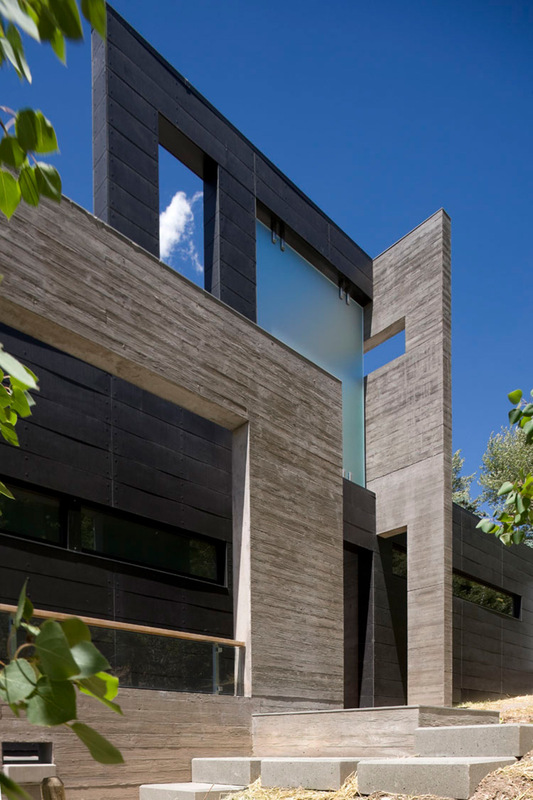 A primary exterior material palette includes board-formed concrete, blackened steel, glass, and Swiss Pearl resin-based exterior cladding. 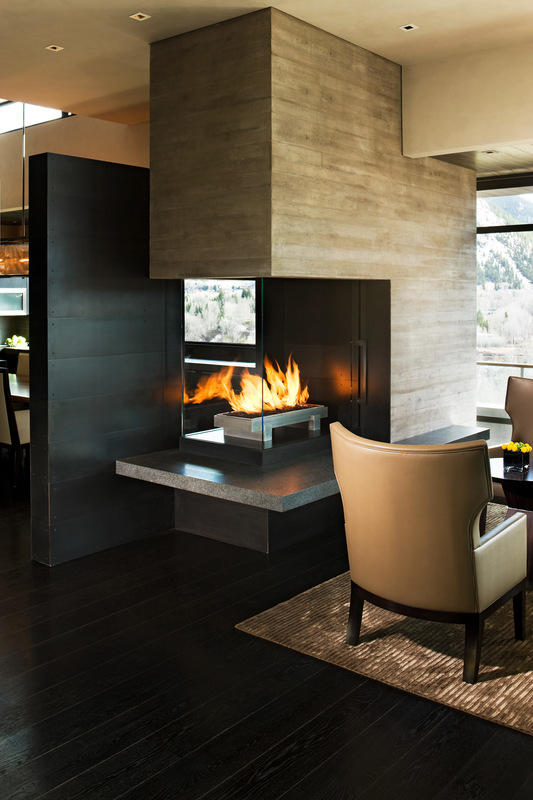 The sculptural quality of the architecture is further expressed in the home’s three unique fireplaces. 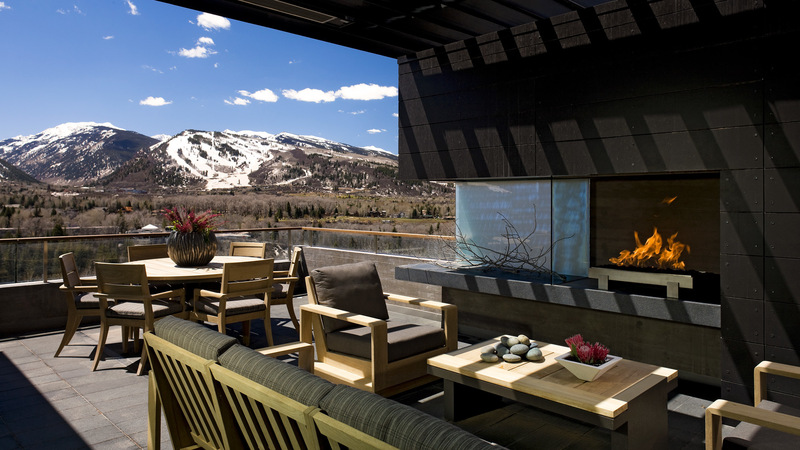 As a centerpiece separating the kitchen from the great room, a two-sided, see-through fireplace summarizes not only the material palate of the home but continuity of its design spirit as well.